Defeating Diabetes Kit Review: Is Yuri Elkaim's Product Worth It? You are here: Home / Blog / Defeating Diabetes Kit Review: Is Yuri Elkaim’s Product Worth It? Is Defeating Diabetes Kit, a program by certified nutritionist and New York Times bestselling author Yuri Elkaim worth your money? Read this review to the end and discover why Contra Health Scam is NOT so thrilled about this program even though it is not a scam! Elkaim claims that his product has the ‘life saving’ information for those suffering from Type 2 Diabetes and pre-diabetes. His pitch page basically centers on selling information about some ‘super starch’ which has the potential of completely reversing your Type 2 Diabetes without having to take any drugs or insulin shots. But before I go further, lets first of all verify Elkaim’s identity, shall we? Yuri Elkaim is a certified Holistic Nutritionist and fitness expert who has been practicing for about 13 years now. He holds High Honours degree in Physical Education and Health/Kinesiology from the University of Toronto. He also was a former football player but had to quit due to unexplained bouts of fatigue and other health problems. 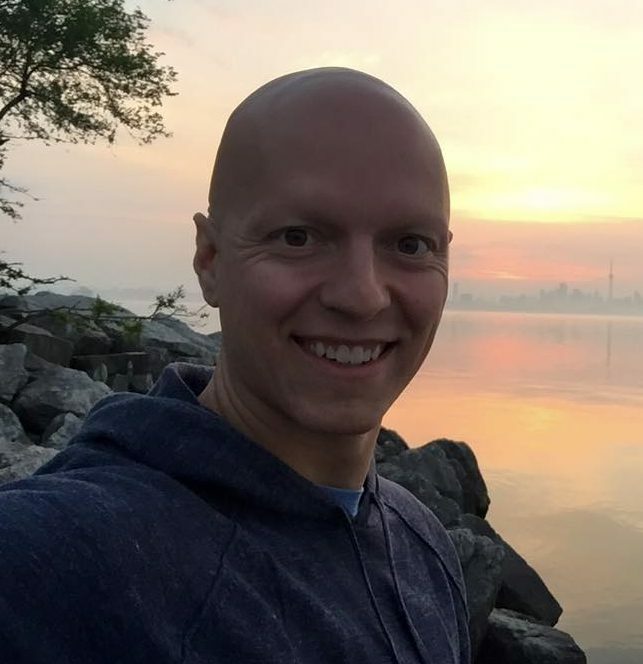 But through it all, he mustered the energy to train himself to be healthy and fit … and for 7 years he served as the strength & conditioning/nutrition coach for the University of Toronto men’s soccer team. According to his Amazon profile, Elkaim has authored ‘over 130’ workout programs. His book All-Day Energy Diet is a New York Times bestseller. He has also been featured in many reputable news outlets like Huffington Post and is a contributor at US News & World Report. He is also the owner and professor of Super Nutrition Academy, a program that claims to provide the ‘essential’ health information that people actually need for good health. It is from this academy that Defeating Diabetes Kit is being marketed. I can also confirm that he is the owner of the product. For more about Yuri, visit his website YuriElkaim.com. What is Defeating Diabetes Kit? The Super Starch Solution: This eBook shows you the best natural sources of the ‘super starch’ and how to harness its diabetes-defeating powers. Real value: A ‘grossly underestimated’ sum of $27. 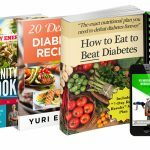 How to Eat to Defeat Diabetes: This 43-page book contains 14 ‘diabetes-friendly’ recipes, a ‘7-Day Rapid Results Diabetes-Friendly Meal Plan’, an ‘updated’ list of diabetes-friendly foods, supplements and herbs … and the so-called ‘ research’ on the real cause of diabetes that modern doctors do not know. Real value of the book: $250. 20 Delicious Diabetes Recipes: This is a separate book that contains 20 ‘no thinking required’, ‘mouthwatering’ recipes that are diabetes friendly. Real value: $17. Iso Burn ‘No Movement’ Workout: Elkaim claims he personally invented this workout which, according to him, is based on ‘isometric training’ and does NOT require any movement at all. ‘No bending. No twisting.’ You practically stay at one place and burn fat as if you were running a treadmill or doing squats. This program comes in audio and video format. Real value: $27. All these books constitute the Defeating Diabetes Kit, which you can get at a one-time price of $37. If you are not happy with the product, you can request a refund within 60 days of purchase. So What are the Pros of Defeating Diabetes Kit? The biggest pro of this program is that its owner, Yuri Elkaim is real and is really who he says he is. You can easily verify his existence and expertise on nutrition and health … and I’m confident that he has indeed helped a lot of people in maintaining good health. These two pros alone are the main reasons why Defeating Diabetes Kit is NOT a scam. The first impression I got when I stumbled on Defeating Diabetes Kit’s pitch page for the first time was that it was a scam by an identity thief. This is because the way it is presented looks no different from all the scams already exposed on this blog. First of all, I don’t understand why I can’t leave the page in peace if I’m not interested in watching the video. Why not add a link to the text version on the video page instead of using a pop-up to block me from leaving before showing me the text version? 2. This Talk About ‘Big Pharma’ Conspiracy. Rather than go directly to explaining how his program will help them defeat Diabetes, Elkaim instead decided to scare his potential clients by telling them of the harmful effects of the current type 2 diabetes drugs … a common psychological tactic often used by scammers against people with chronic, life threatening diseases. He even went as far as alleging that pharmaceutical companies don’t care about your health because they are public companies whose stocks are being traded on the Stock Exchange market. Yes, they are crooks in every industry, including the health industry. But the truth is that the first thing doctors recommend to type 2 diabetes patients is lifestyle and diet changes, NOT drugs! In medicine, drugs like Metformin are not seen as first line therapy for type 2 diabetes, but are rather seen as a last resort treatment for those who cannot maintain adequate diet therapy. Judging from his personal website and how Defeating Diabetes Kit was presented, Yuri Elkaim loathes doctors. In his website, he says he visited doctors for 7 consecutive years over his health problems (autoimmune alopecia, extreme weakness) and all they did to him was to inject his head with drugs. Don’t get me wrong here. It is completely fine for Elkaim to dislike doctors because of the unpleasant experience he had with them. But implying that doctors are idiots who know nothing about curing health problems apart from loading their patients with ‘big pharma’ drugs is wrong. It is a slap in the face of the medical community, who work harder than anyone else in the health industry to ensure that sick people are nursed back to health. Is Defeating Diabetes Kit Worth It? Defeating Diabetes Kit is centered on resistant starch, a type of carbohydrate Elkaim claims is ‘rarely discussed.’ Well type ‘resistant starch’ on Google and click ‘search’, and you’ll see that ‘resistant starch’ is very well discussed. Heck, it even has a Wikipedia page! So if Defeating Diabetes Kit is all about telling you about resistant starch, then it is definitely not worth your money because that information is already everywhere on the web, free of charge. Elkaim apparently knows this, that is why he added the extra books and the bonus ‘The All-Day Energy Diet Community Diet Cookbook’ to make his offer worth considering. Had it been he didn’t add them, Defeating Diabetes Kit would have been worthless. PONDER ON THIS QUESTION: Why is Yuri Elkaim offering FIVE books supposedly worth $368 at just $37? Check out Defeating Diabetes Kit at SuperNutritionAcademy.com (affiliate link). Due to the fact that this program has more cons than pros, I will not add it to Contra Health Scam’s Whitelist. Right now it is hanging from a cliff … and only your feedback will determine whether it makes it to the Whitelist or be tossed into the dustbin as a scam. So if you have used Defeating Diabetes Kit, please share your experiences with us in the comments section. Thank you! I am 66 yrs old and have listened to and read a ton of these CURE DOCTORS for years and years and every one of these stories tell the same truth…. in the final analysis if you become a vegetarian or even a vegan and eat NOTHING processed and ONLY natural foods like fruits and vegetables etc. and very little meat and carbs you will live a long healthy life!